Only 25 of these notebooks were created and they come packed with the Digital Extremes Star Trek video game. Although the sequel has failed to live up to expectations and the game was a complete flop, Trekkers have something new to own. 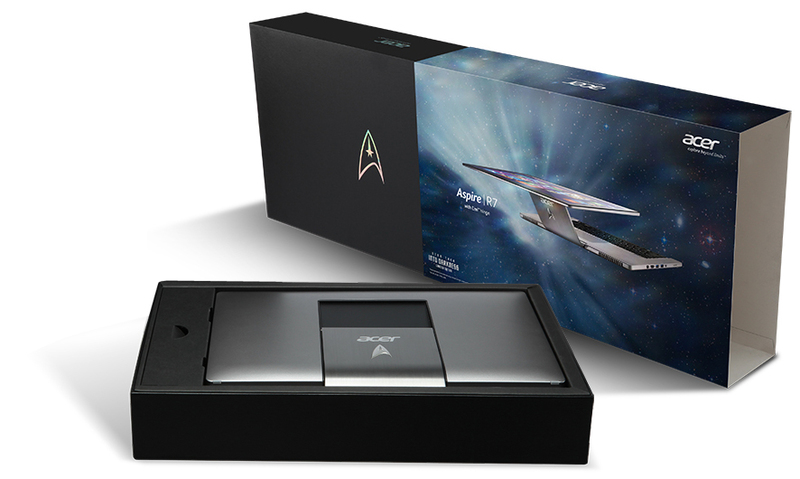 Acer and Paramount Pictures have partnered in the creation of an Aspire R7 Limited Edition notebook to celebrate the release of the film, Star Trek Into Darkness. Acer created only 25 units of the revolutionary R7 touch-enabled Limited Edition notebook and none have been available for purchase. The companies are now offering just one of these unique products on eBay as part of an exciting auction package to benefit two worthy charitable organizations. The one and only Acer Aspire R7 Star Trek Into Darkness Limited Edition Package includes the revolutionary R7 touch-enabled notebook beautifully dressed with a stainless steel Star Trek logo with sand-blast finish and polished surface, along with an R7 protective sleeve with Star Trek logo. It also includes a Star Trek Into Darkness film poster signed by the film cast, special Star Trek Into Darkness content such as wallpapers and videos, Star Trek Soundtrack, a download of Star Trek: The Video Game, and unique Star Trek Into Darkness product packaging with a Limited Edition Certificate of Authenticity from Acer and Paramount Pictures. This world exclusive notebook is now featured on ebay at www.ebay.com/theonlyone. Bids will start on June 14 with the auction closing on June 24. All net proceeds will be donated to two charitable organizations: The Mission Continues and Save the Children. Zombies, zombies, and more zombies!